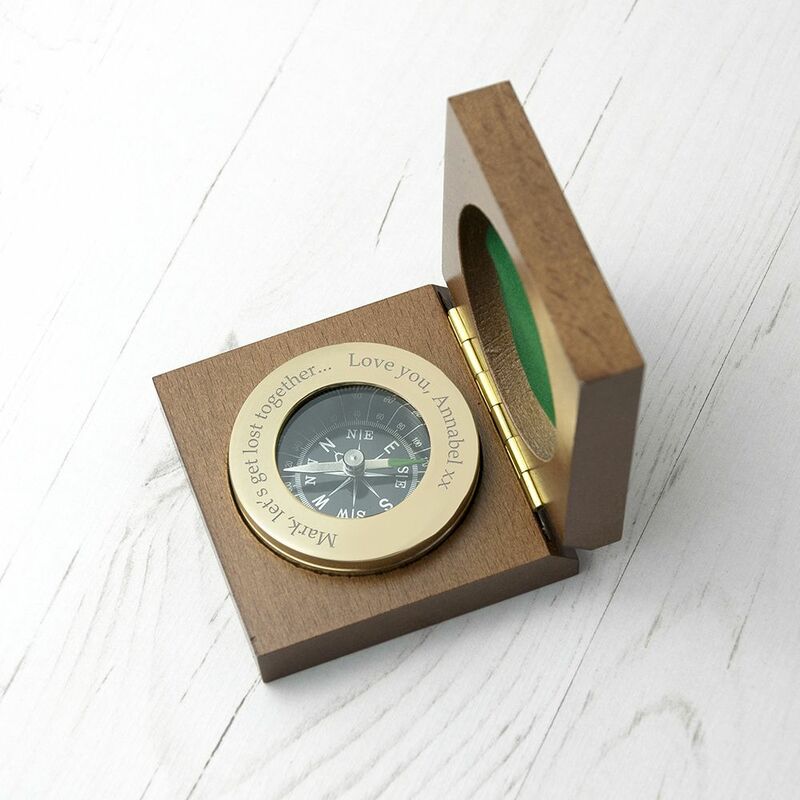 A high quality brass paperweight compass, presented in a fine mahogany stained wooden box with monogrammed brass plate. 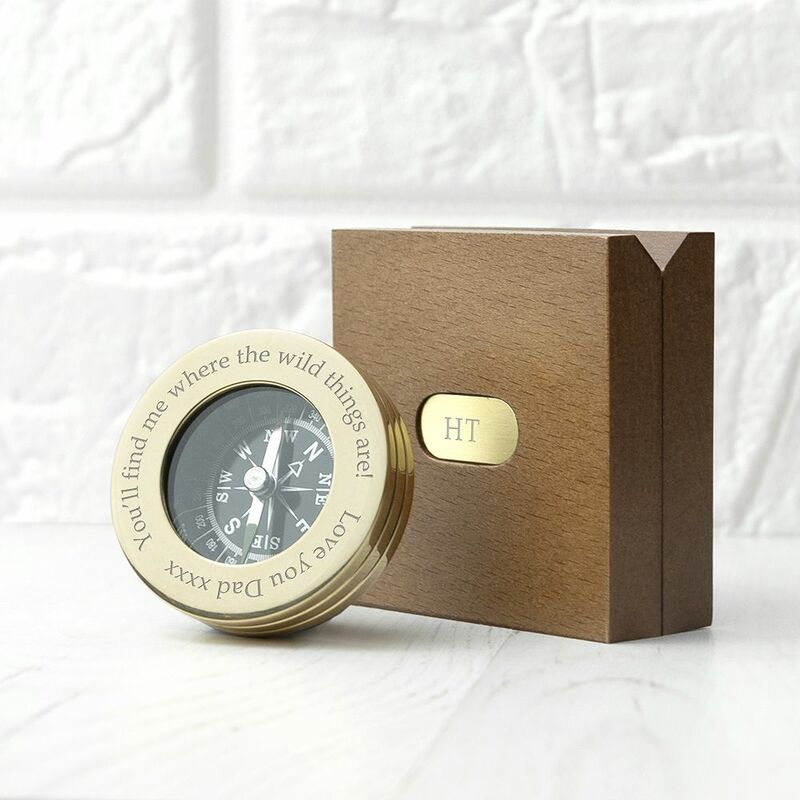 Personalise your compass with a message up to 60 characters. 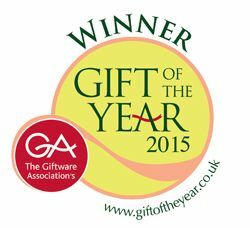 The lid of the box can then be personalised with a monogram up to 4 characters long. The base of the brass compass is lined with black felt with the interior of the wood box being a green felt. Important: Please ensure you double check your personalisation as how it appears here will be how it appears on the product, including spacing and punctuation, so carefully check your spelling, grammar and make sure any dates are correct. Please only use standard letters from the English Alphabet, standard numbers and punctuation. Please do not include accents, emoji's or special symbols in your personalisation, this includes accents above and below the alphabetical or numerical text such as áéíóú.